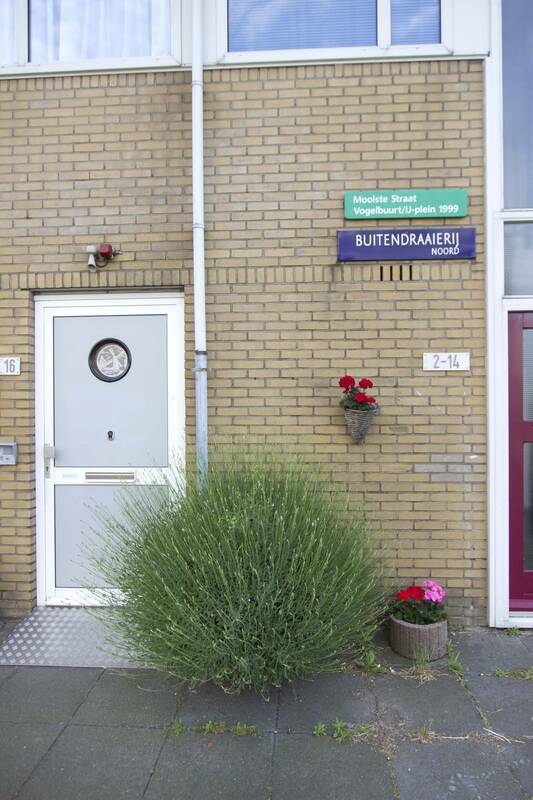 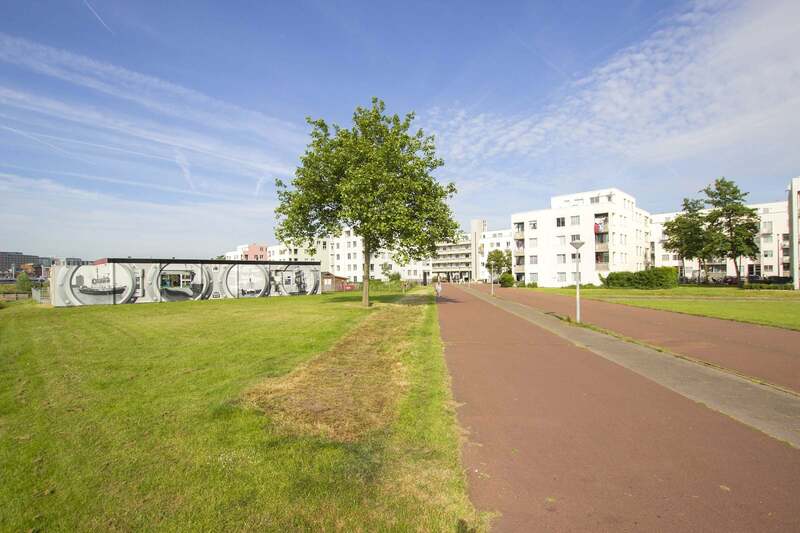 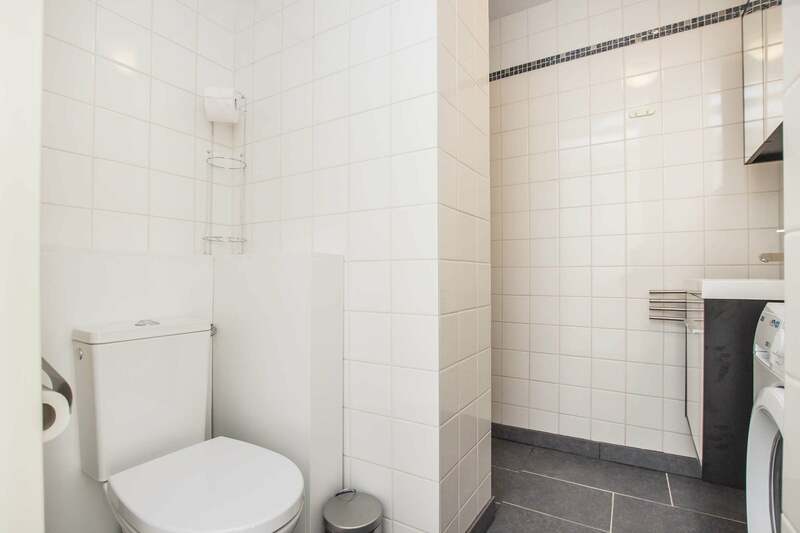 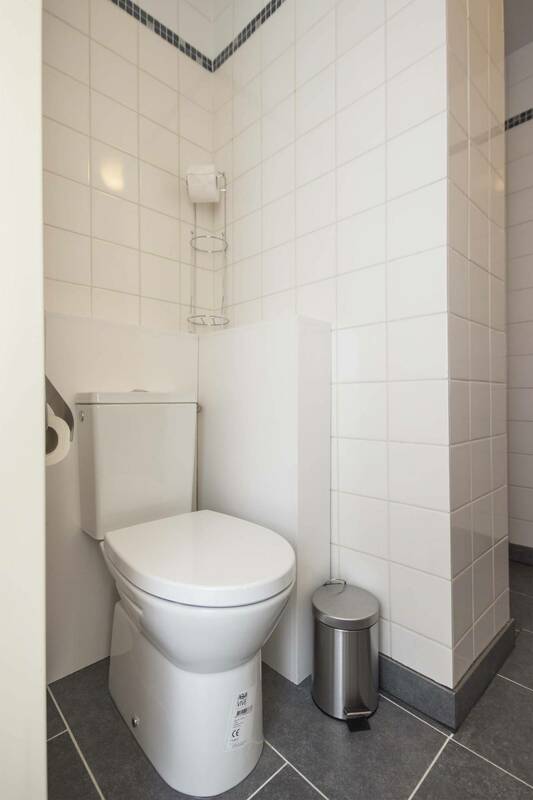 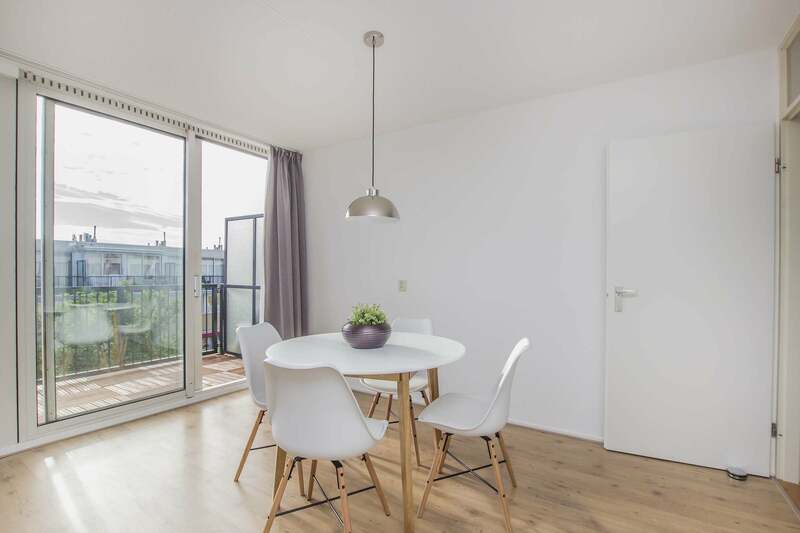 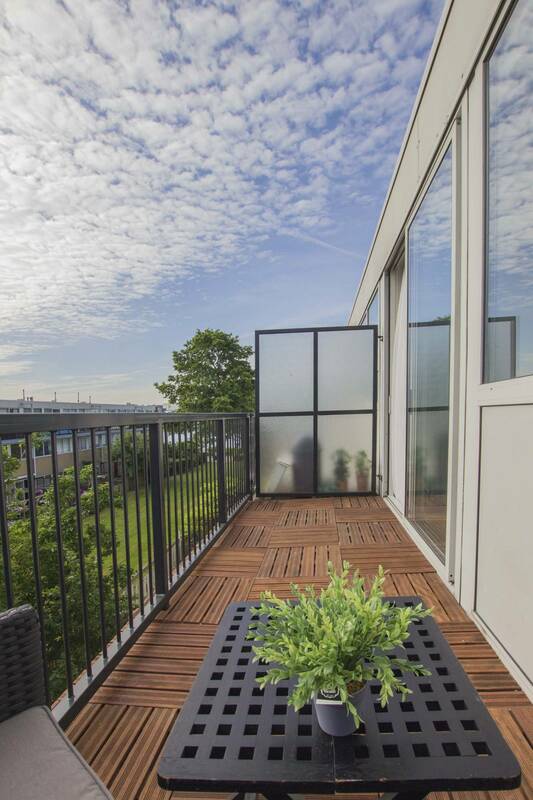 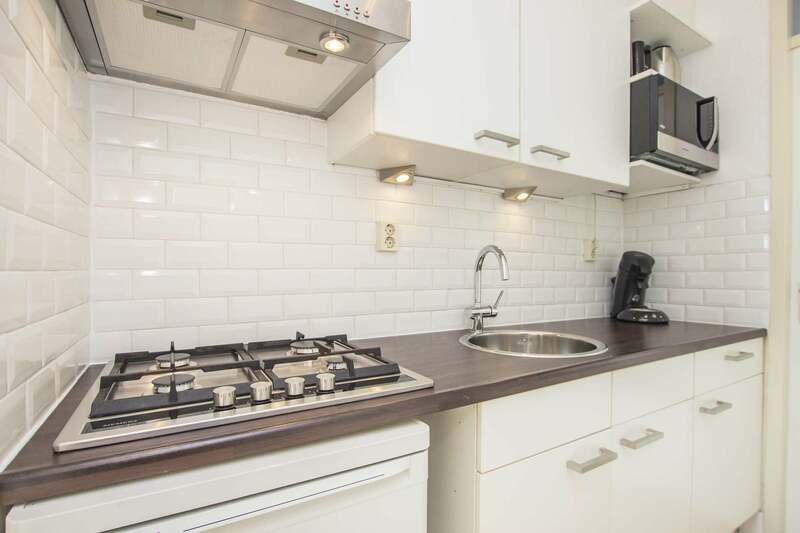 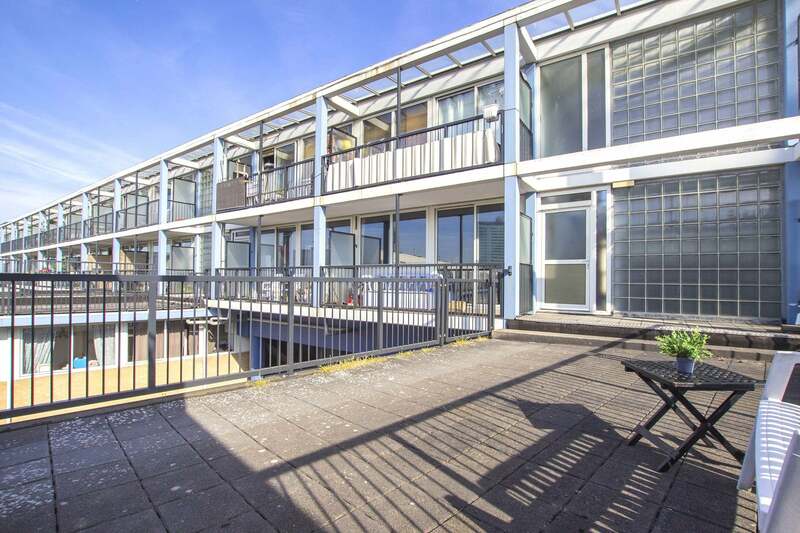 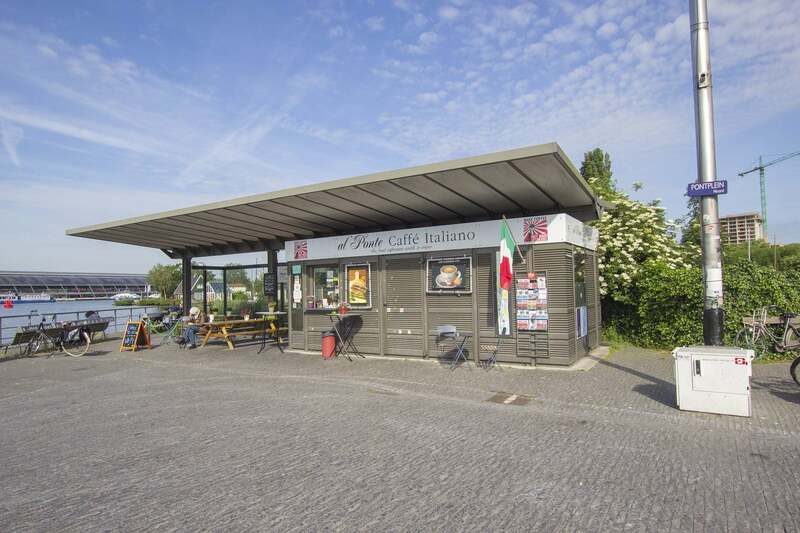 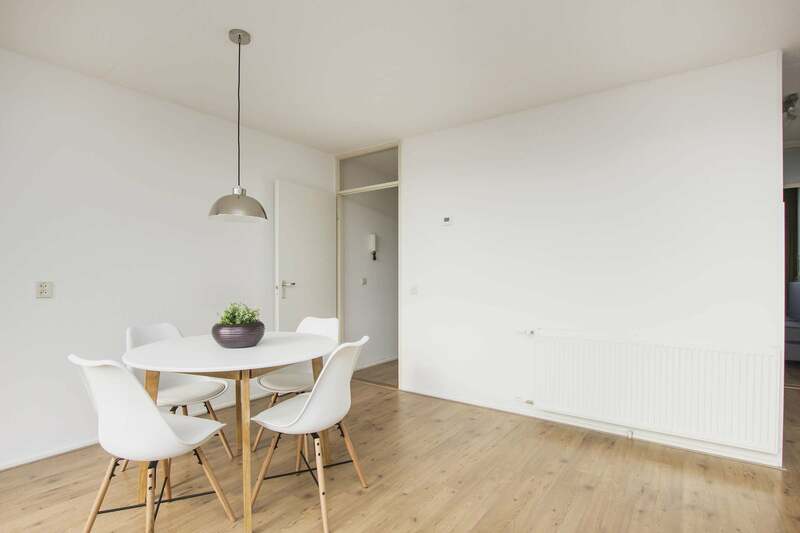 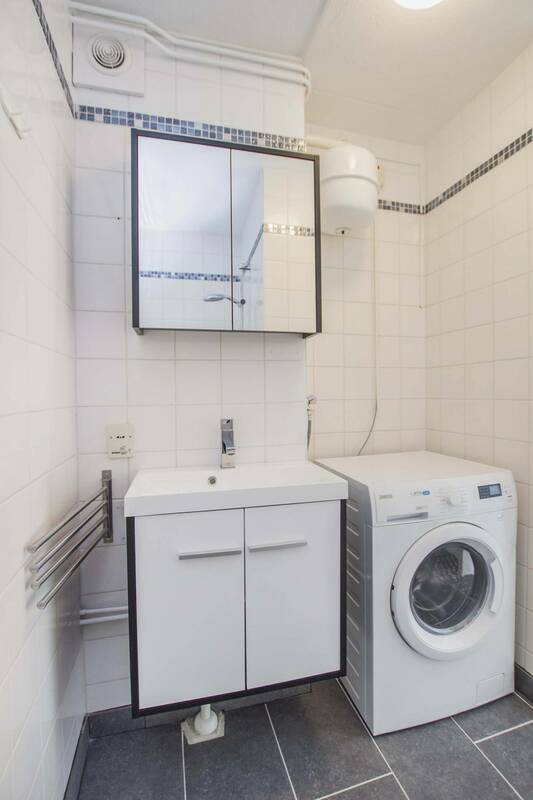 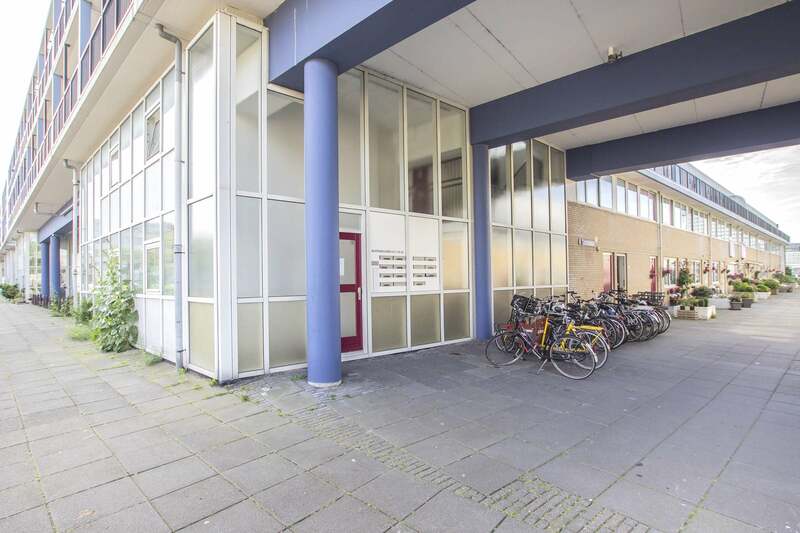 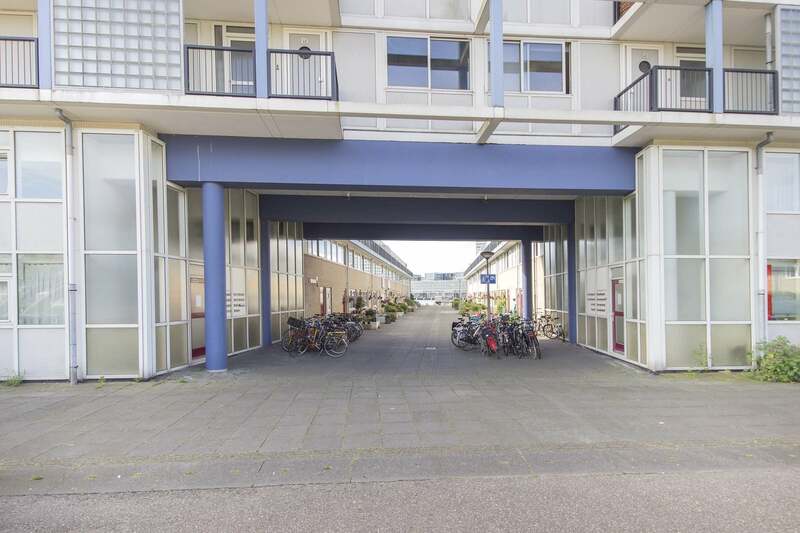 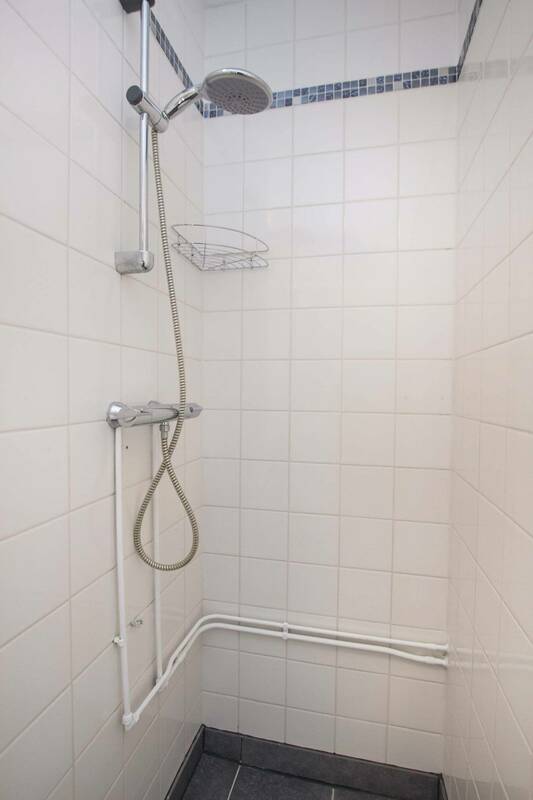 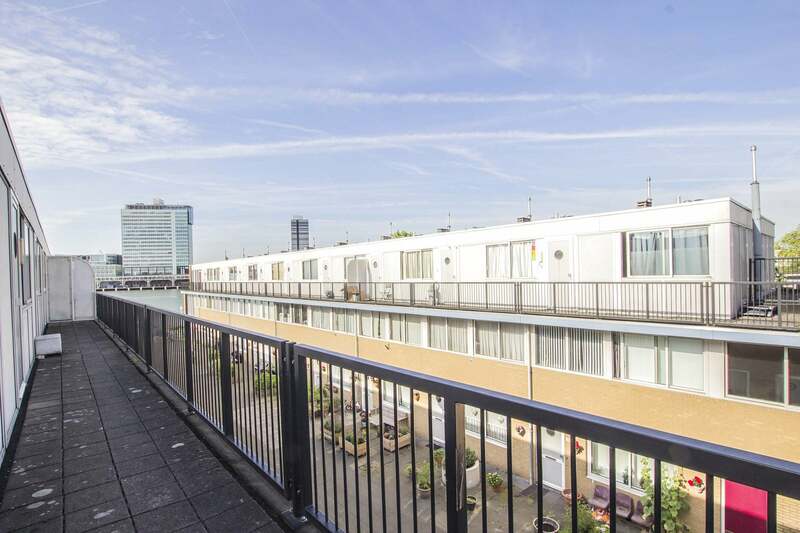 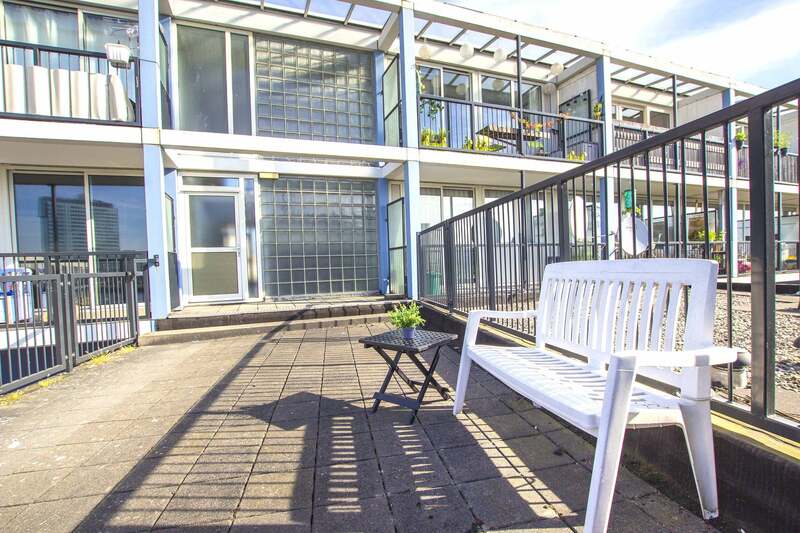 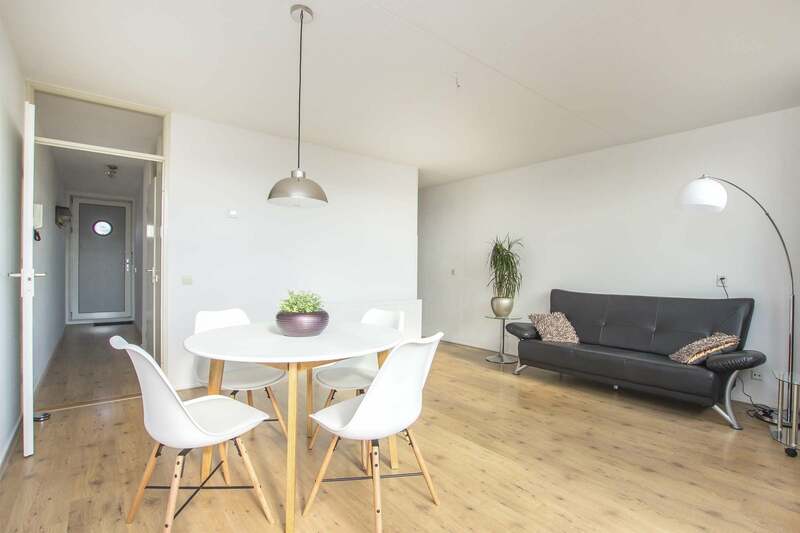 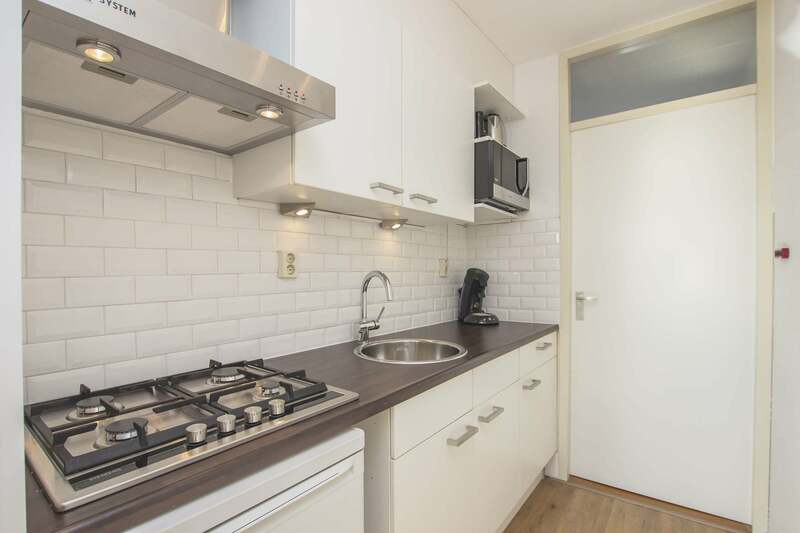 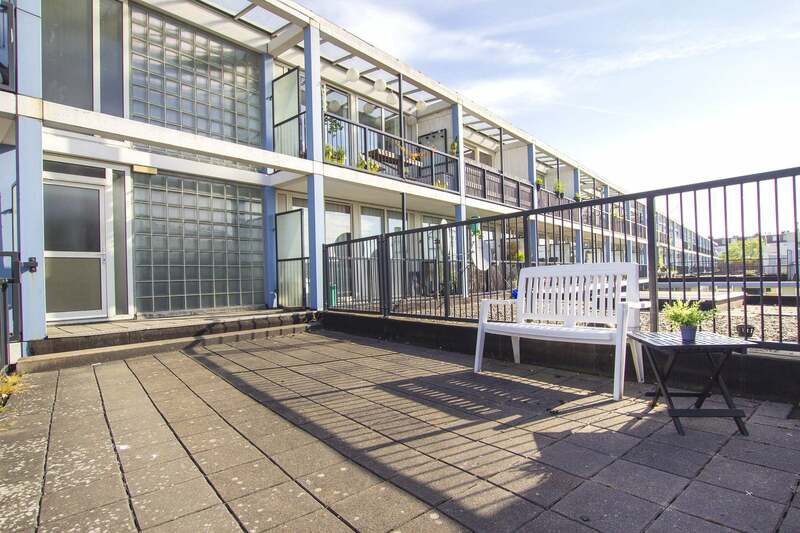 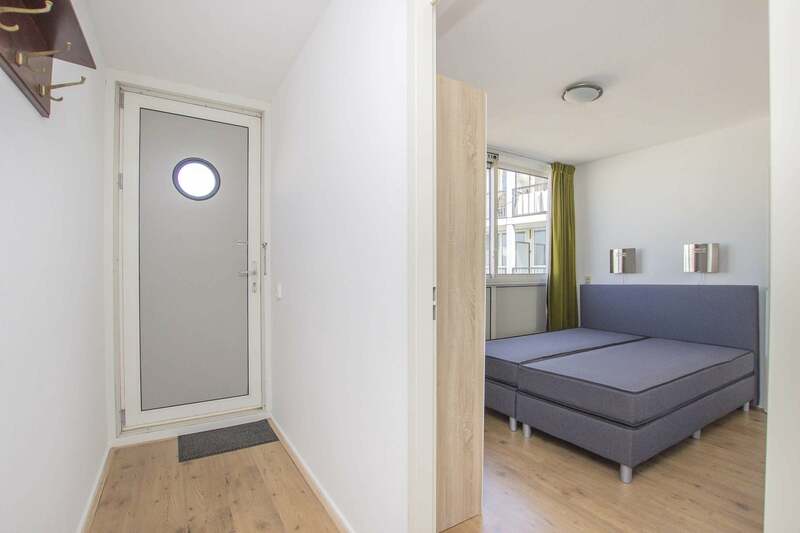 Cosy and convenient 1 bedroom apartment, situated across from Central Station in Amsterdam North. 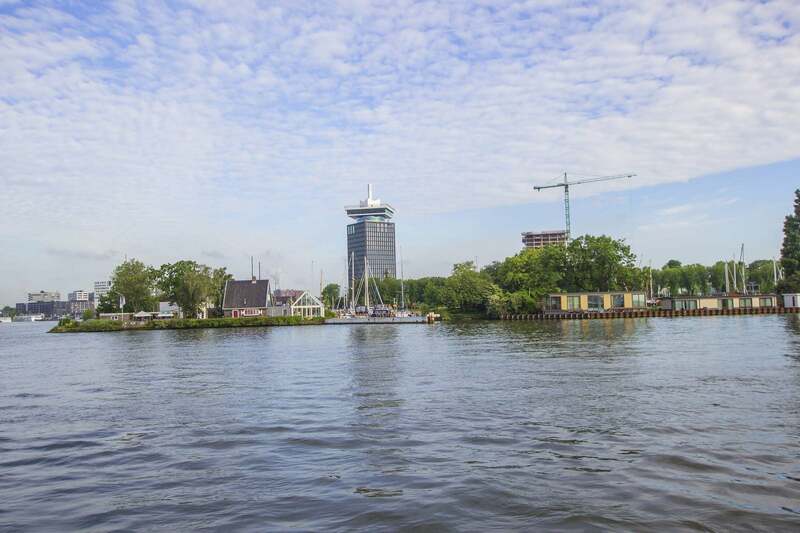 With views of the IJ River, the lodging can be found on the 2nd floor and comes completely furnished throughout its 45m2. 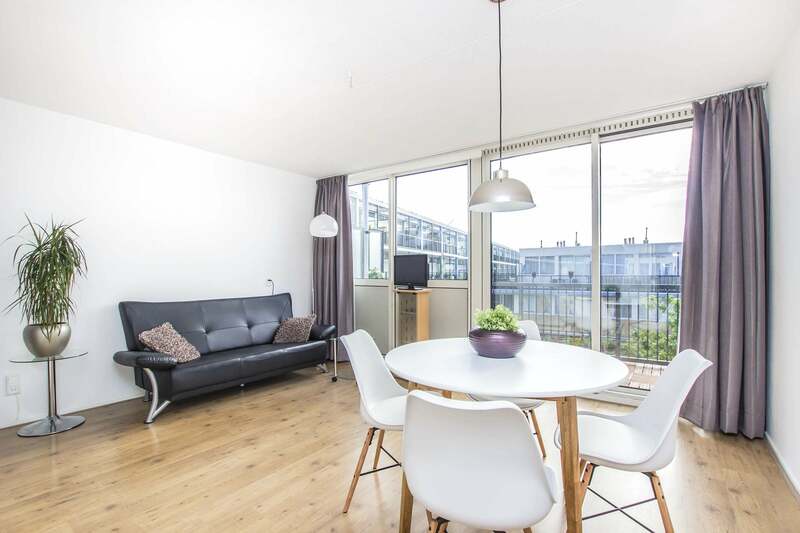 Flooded with natural light, the bright living area makes the perfect spot for relaxing after a busy day in the city. 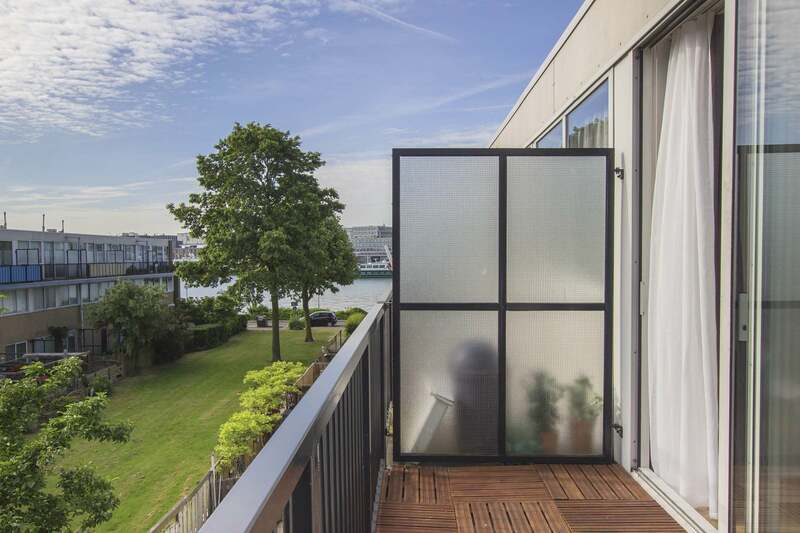 A sofa, flatscreen TV and a dining table occupy the space, which opens out via sliding doors to a balcony overlooking a lovely courtyard, with views out across the water. 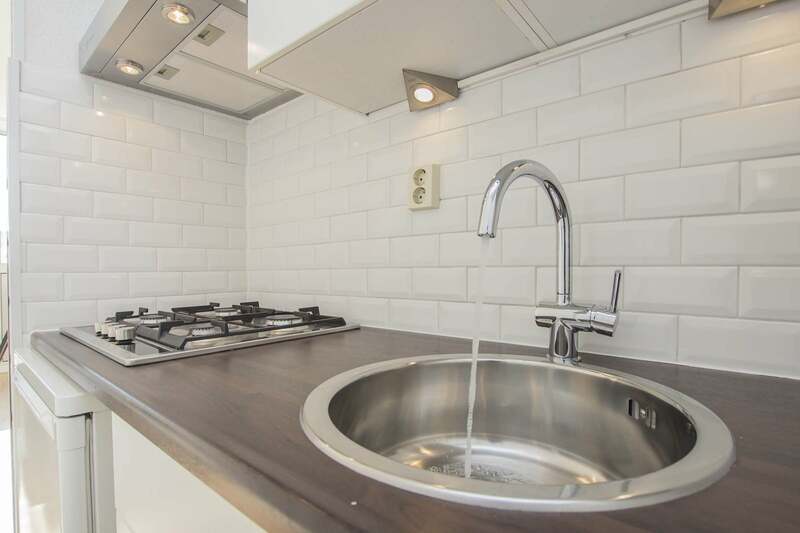 Back inside, the kitchen supplies everything you need for preparing your favourite meals, including a hob, fridge, extractor fan and a combi oven/microwave. 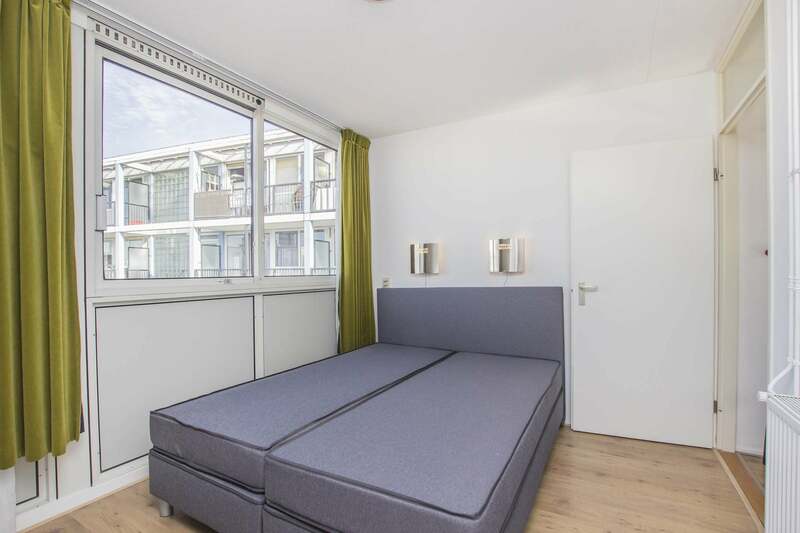 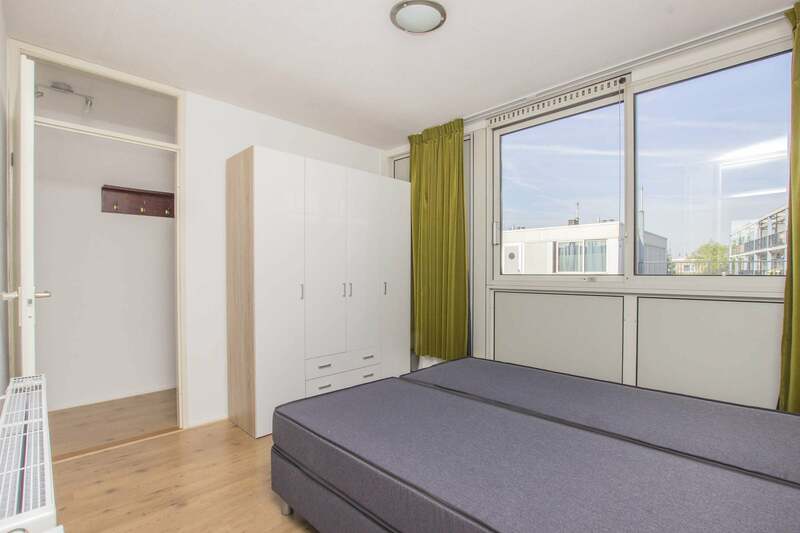 The bedroom can be found at the front of the apartment and comes equipped with a box spring double bed and wardrobes. 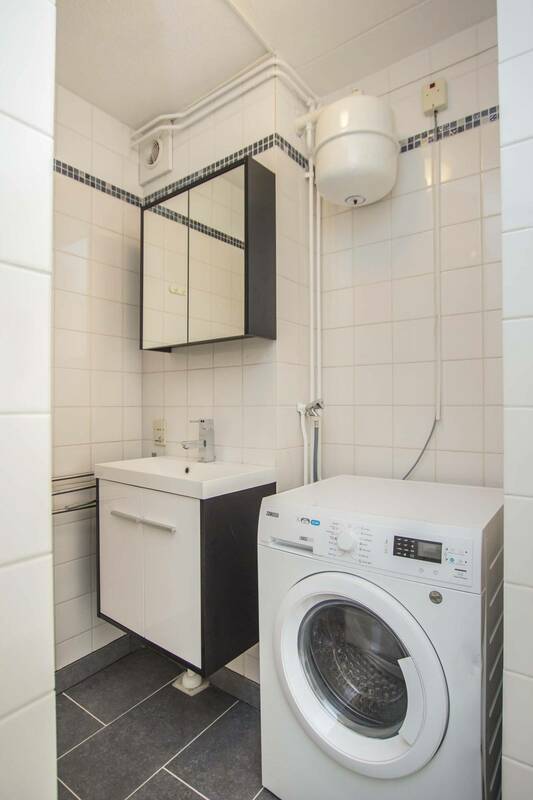 Benefitting from a recent renovation, the smart bathroom houses a sink, toilet, walk-in shower and a washing machine. 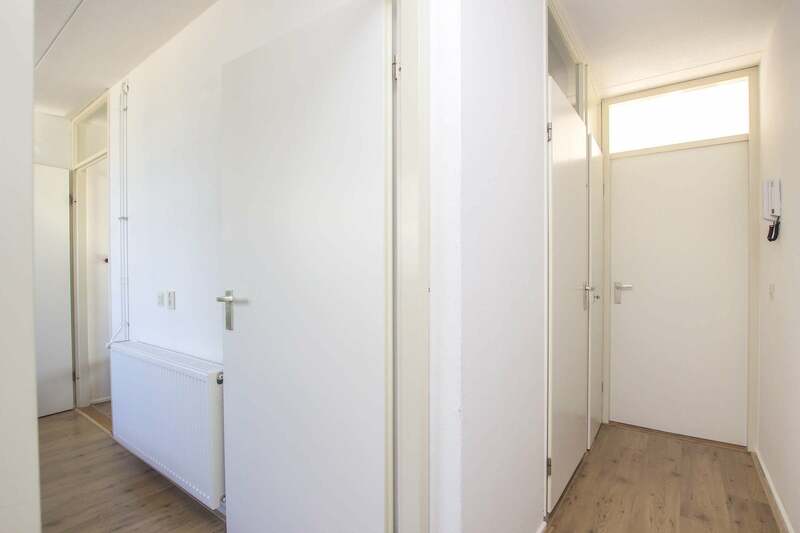 An extra storage room is situated on the ground floor. 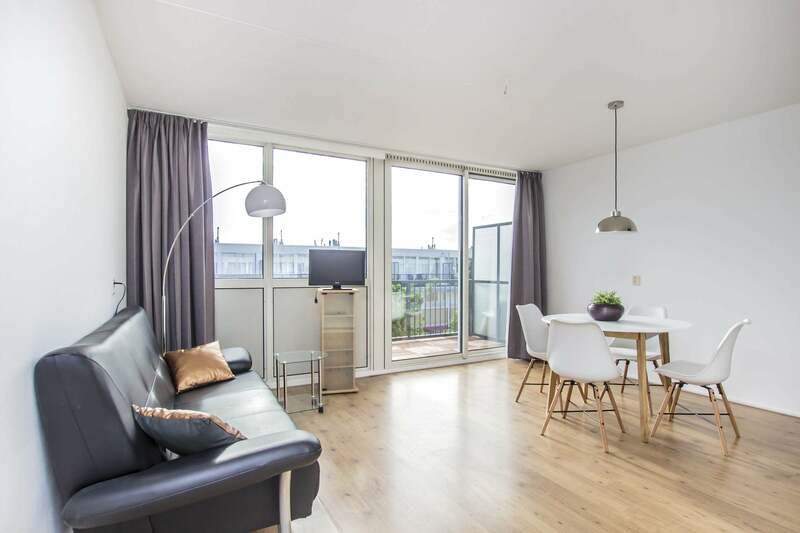 Undergoing plenty of renovation, Amsterdam North makes the ideal choice for residents seeking a pleasant and peaceful base untroubled by the tourist crowds, which still enables instant access to the city’s core. 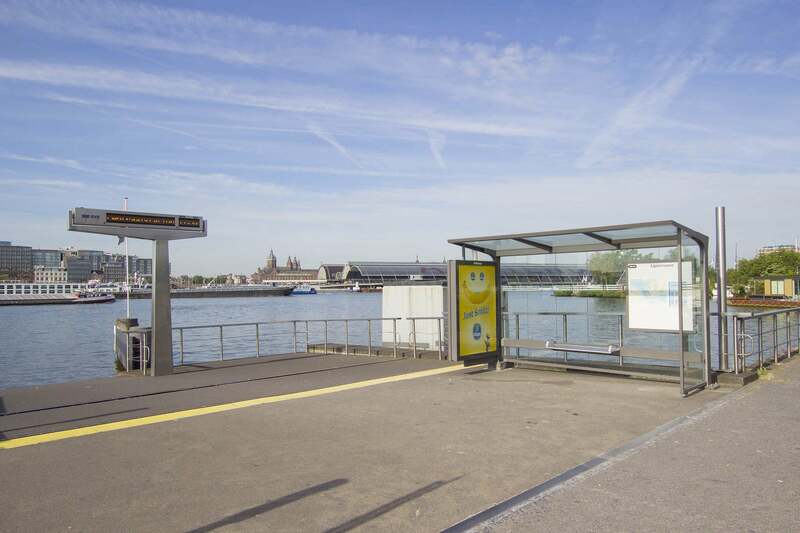 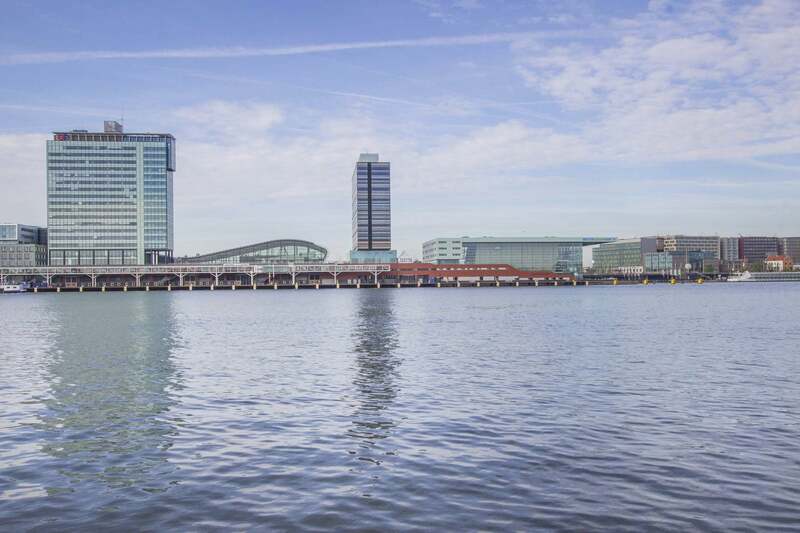 Indeed, just a 5 minute walk will deposit you at the ferry terminal on the banks of the IJ, allowing free and direct admission to Amsterdam Central Station 24/7. 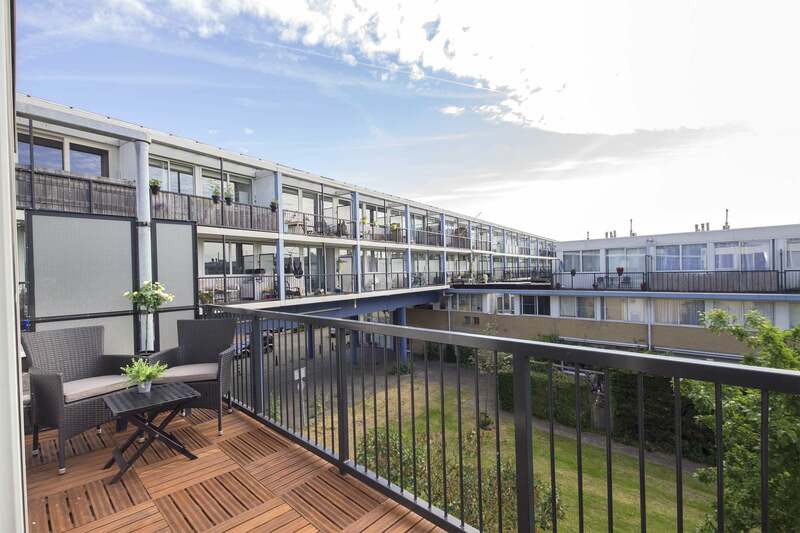 The surrounding neighbourhood provides ample cafes, stores and restaurants, with a small shopping centre located within metres of the apartment’s complex. 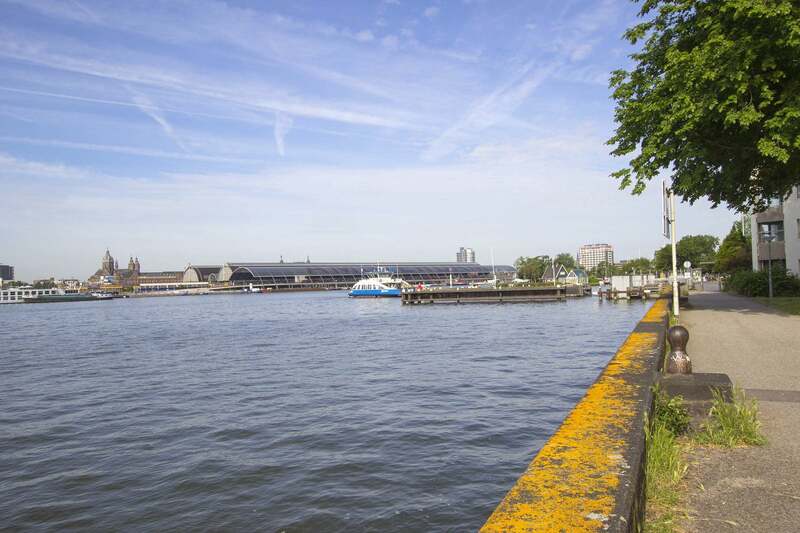 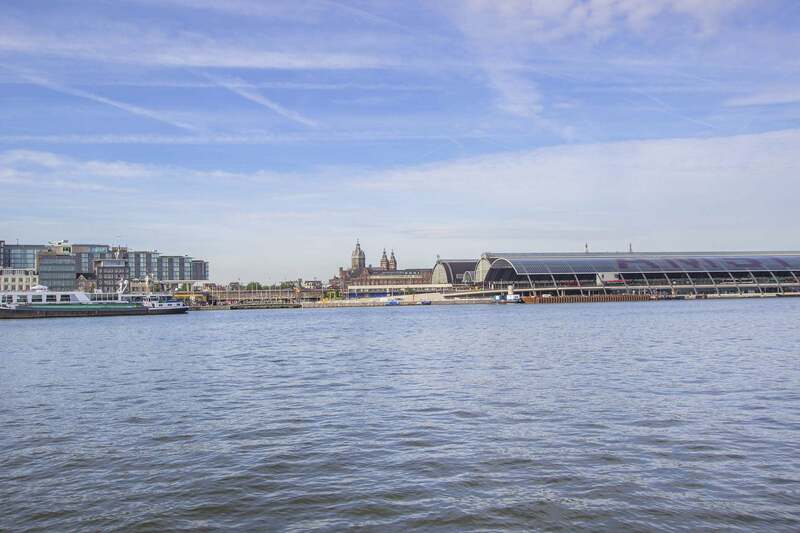 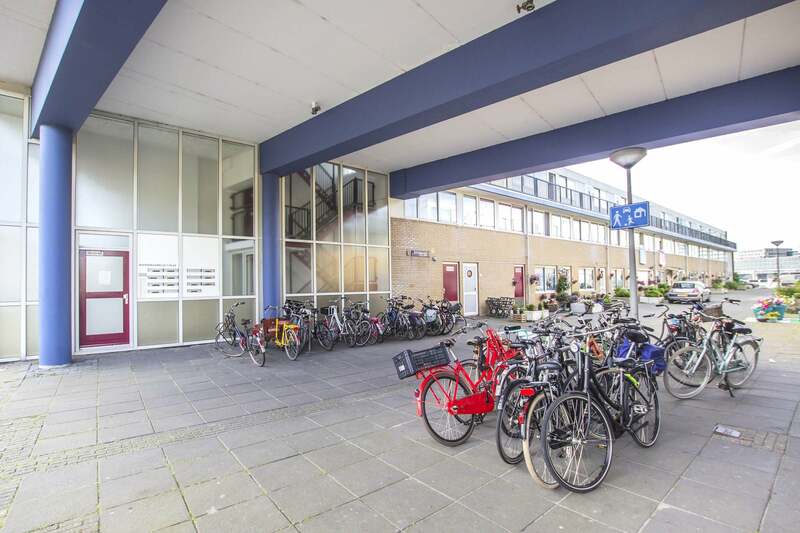 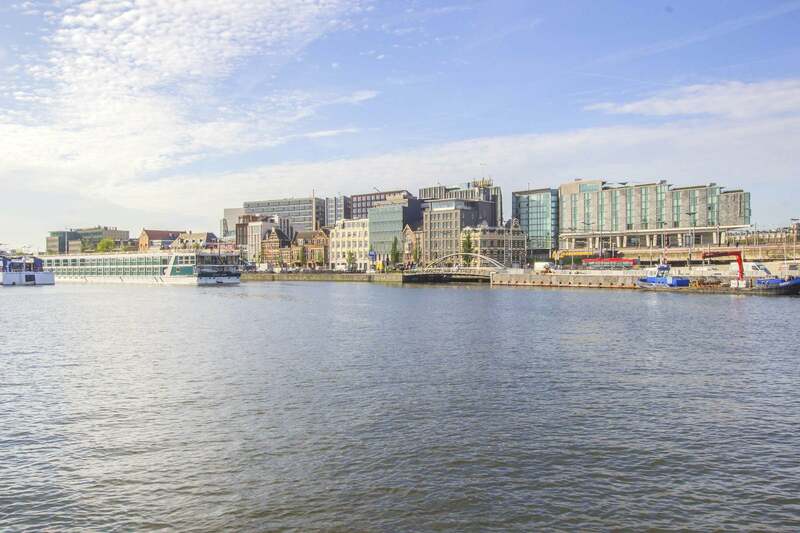 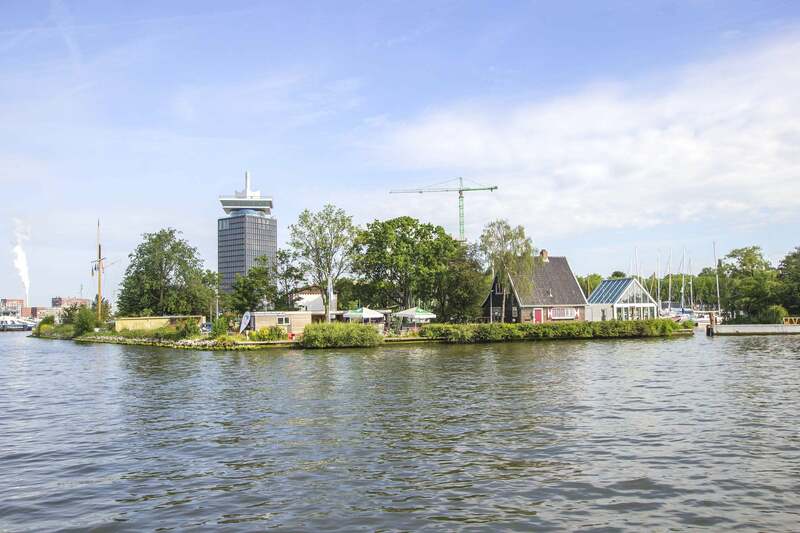 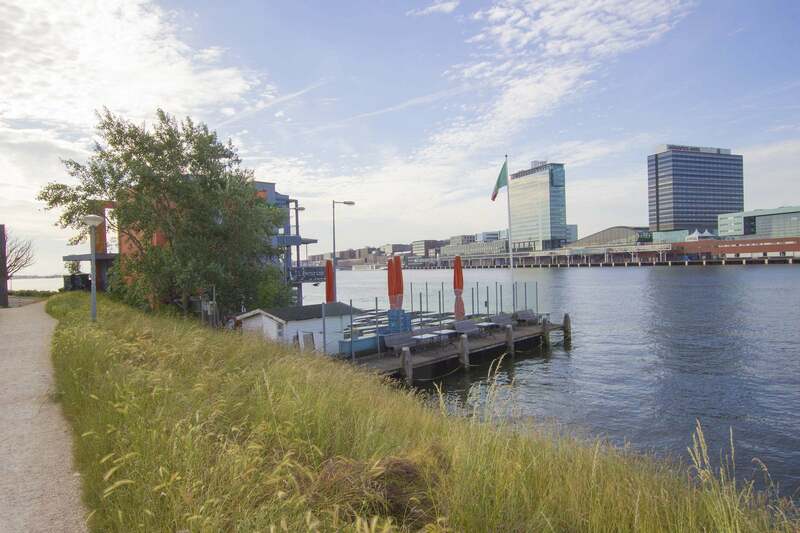 A short bike ride will deliver you at the delightful IJ Promenade, which grants admission to the contemporary EYE Cinema and Film Museum, the towering Amsterdam Lookout and the hip events hub of the Tolhuis. 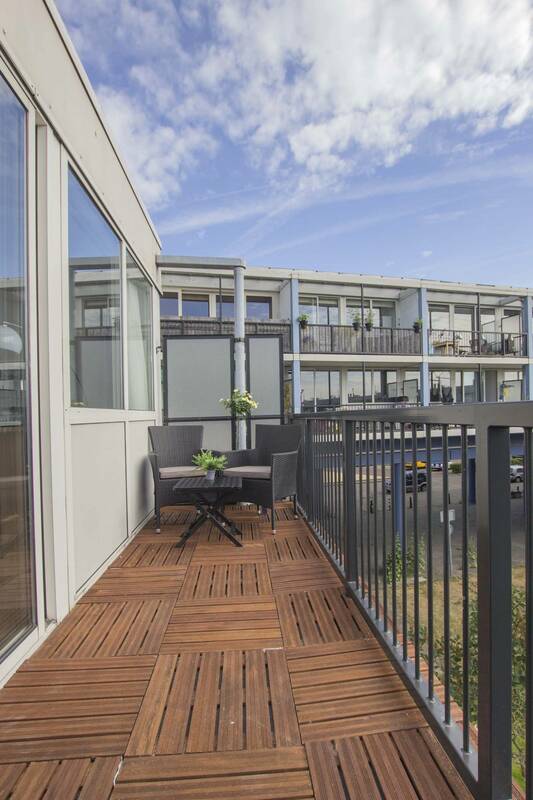 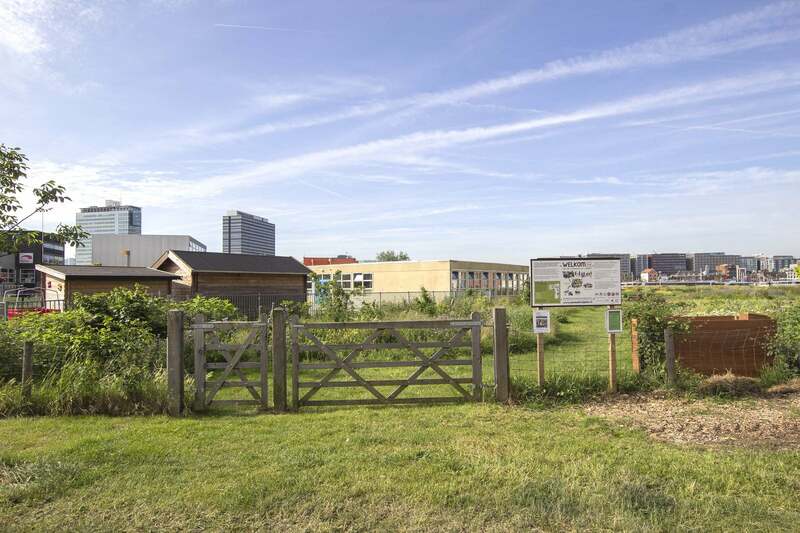 Reaching the capital’s primary A10 ring road is simple, making this a great choice for car owners. 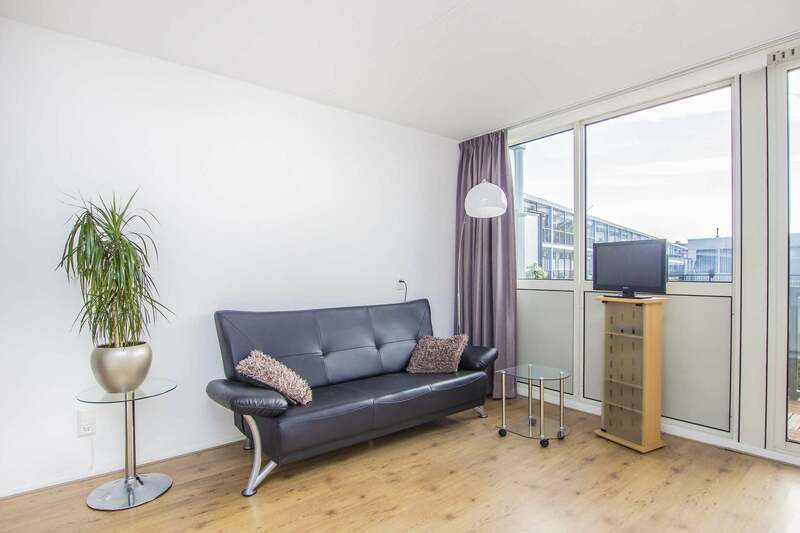 With its welcoming interior and convenient location, a visit to this apartment is certainly worth your while!